A temporary glitch in Auburn University’s dining meal plan selection portal led some students to be charged for the wrong, more expensive dining plan. As reported by The Auburn Plainsman, the problem saw students charged for the $1,100 on-campus meal plan despite not choosing that option. Concerns over the default meal plan selection began circulating after a screen shot showing the meal plan selection instructions was shared across several social media platforms. For students living on campus at Auburn the minimum requirement is $1,100 in declining balance funds, while the off-campus student minimum requirement is just $350 in declining balance funds. Attention was drawn to the glitch as students checked their e-bill from the meal plan selection process. The system was showing that the students in question were purchasing the more expensive on-campus meal plan. Auburn dining officials have stressed that the glitch was in no way intentional. Nearly 3,000 students have selected their meal plan via the university’s online portal, AU Access. Students have the option to complete the meal plan selection process anytime until the fifteenth day of classes. 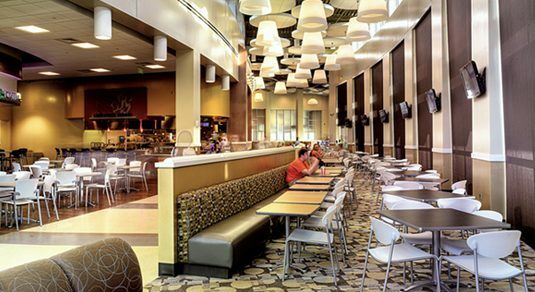 Students also have the option to purchase the block meal plan of their choosing — meal swipes that can be used at Auburn’s two all-you-can-eat dining halls. Otherwise, students will receive the basic on- or off-campus meal plan based on their living location.